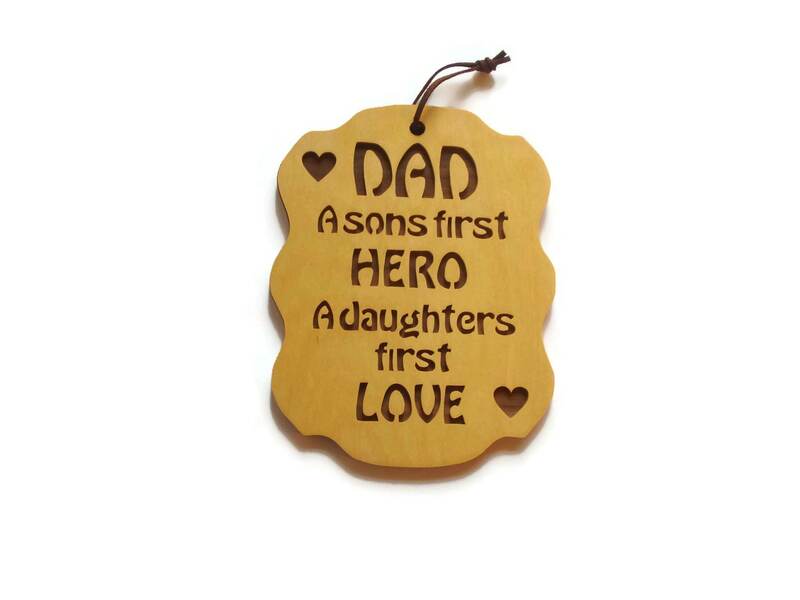 This is a wonderful fathers-day gift for that special dad or a great gift for any occasion. 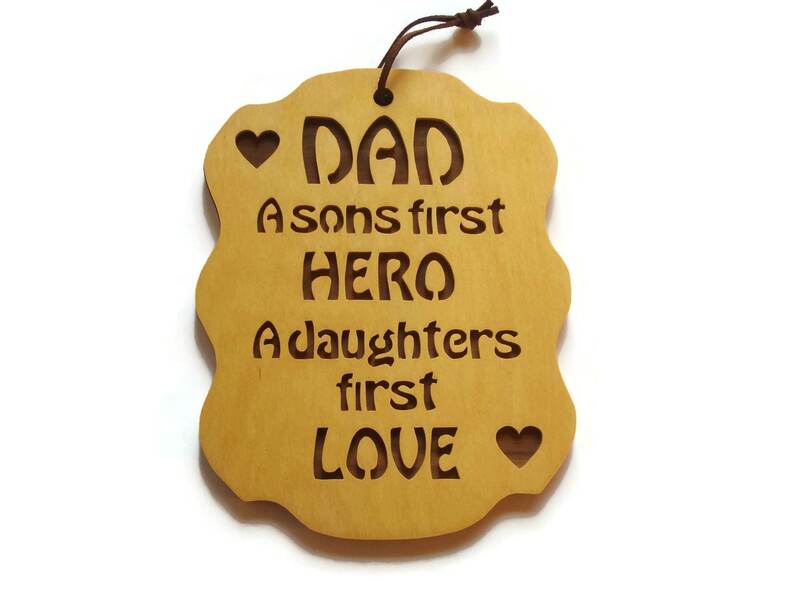 This wall hanging plaque features the phrase " Dad a sons first Hero, A Daughters first Love " which is cut out from the birch plywood and then laminated to the Walnut plywood for a beautiful color contrast. 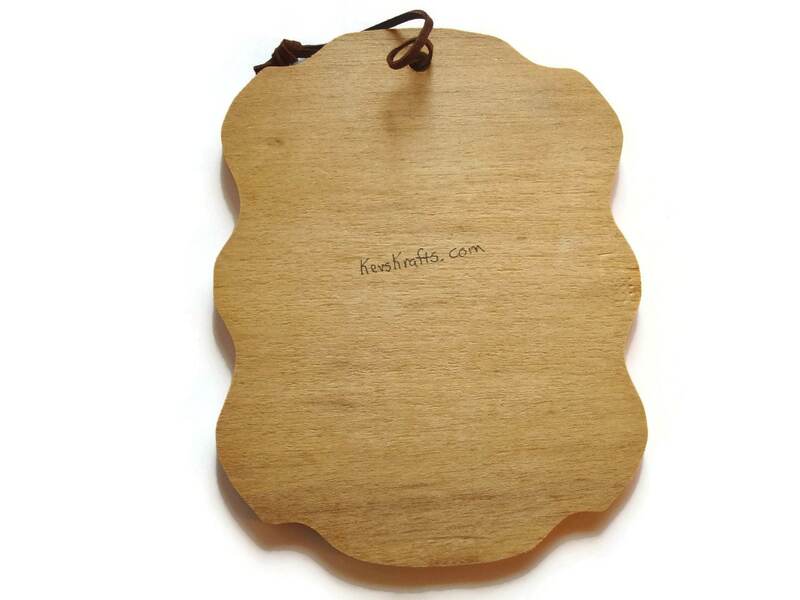 This is then finished with a natural color Danish oil finish and / or a natural beeswax and mineral oil mixture. A swede rope hanger was tied on to this for ease of hanging this on a hook. I love the message and the quality.